TENNIS : JELENA OSTAPENKO IS THE NEW FRENCH OPEN CHAMP ! FAIRY-TALE FIRST WIN BY THE UNSEEDED 20-YEAR-OLD ! - Sports | Sports 24 | Sports News ! 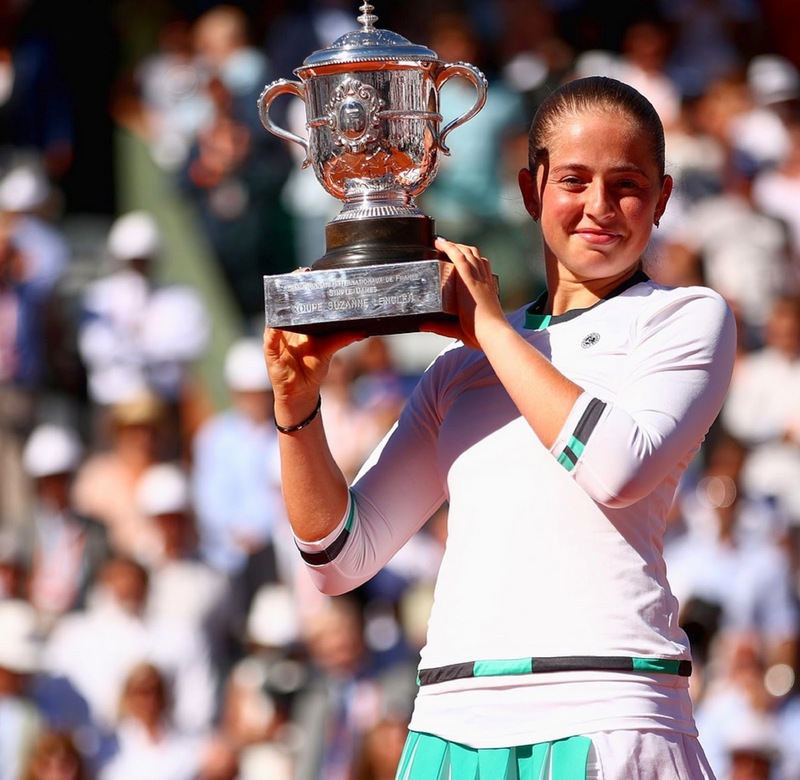 Home WTA TENNIS : JELENA OSTAPENKO IS THE NEW FRENCH OPEN CHAMP ! FAIRY-TALE FIRST WIN BY THE UNSEEDED 20-YEAR-OLD ! 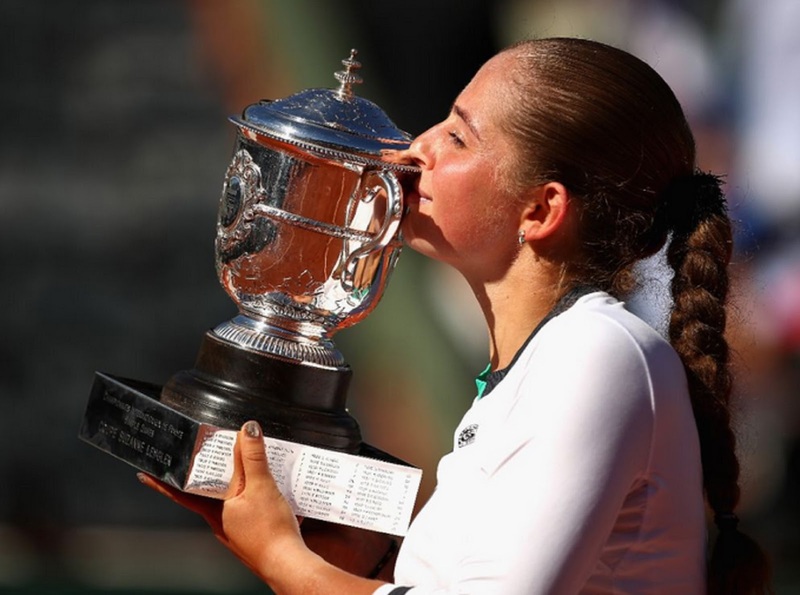 TENNIS : JELENA OSTAPENKO IS THE NEW FRENCH OPEN CHAMP ! FAIRY-TALE FIRST WIN BY THE UNSEEDED 20-YEAR-OLD ! You may not have heard of her name before. Well, you have now - - for sure. Jelena Ostapenko has never won a Tour Final, in her life. 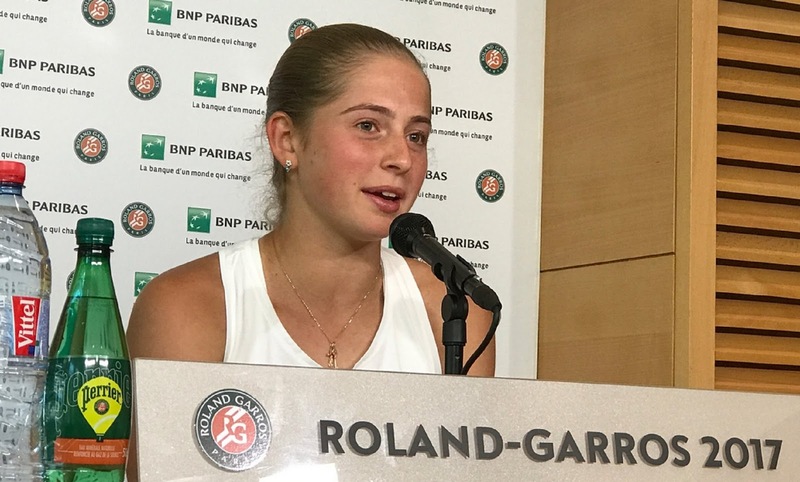 She came to the 2017 French Open not too hopeful - - unseeded. Now, she is coming home with the Roland Garros Grand Slam Trophy. "I still cannot believe it, because it was my dream and now it came true! ", blurted the 20-year-old Latvian, following her sensational win. Jelena Ostapenko, who celebrated her 20th birthday on court in the Semi Finals the other day - - en route to her maiden Championship Finals - - has now just landed her name on the record books. She became the first unseeded player ever to win the French Open crown in the Open Era. 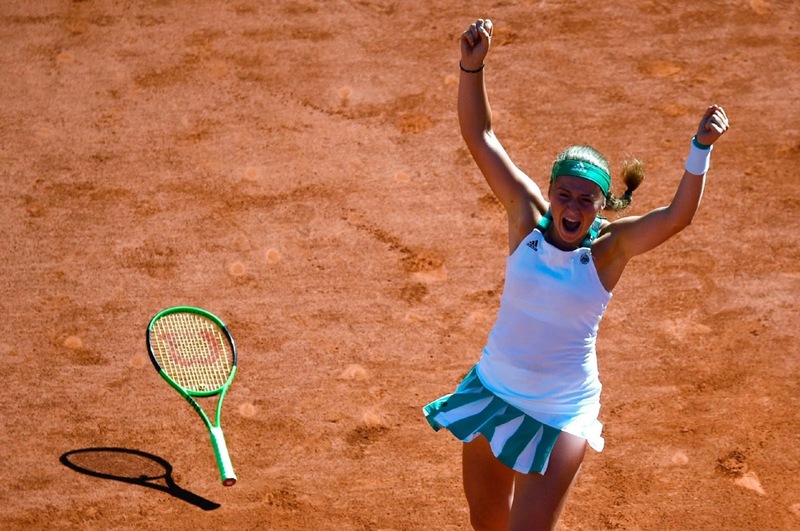 Though already seen by some as a promising young Junior player early on in her career, Ostapenko just turned pro in 2014. 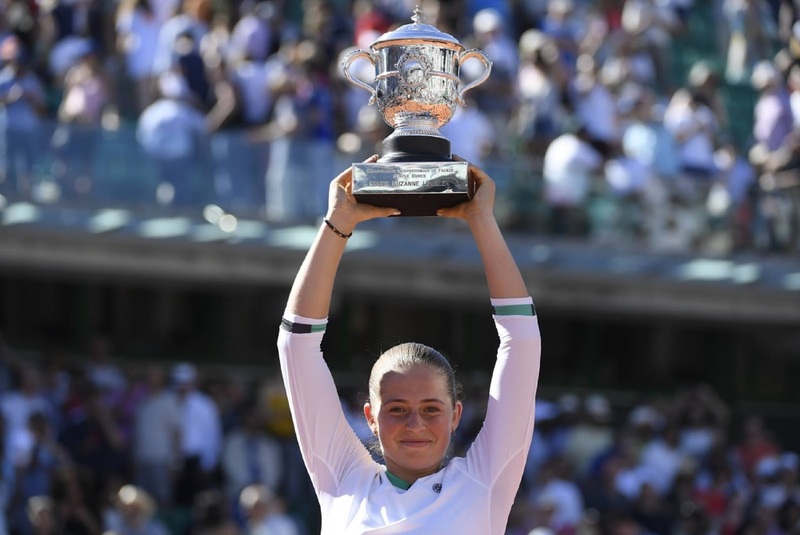 Now, apart from the Grand Slam Trophy and a piece of history she's taking with her, Jelena Ostapenko is also going home with the handsome USD 2.3 Million Dollar French Open Champion's prize money. 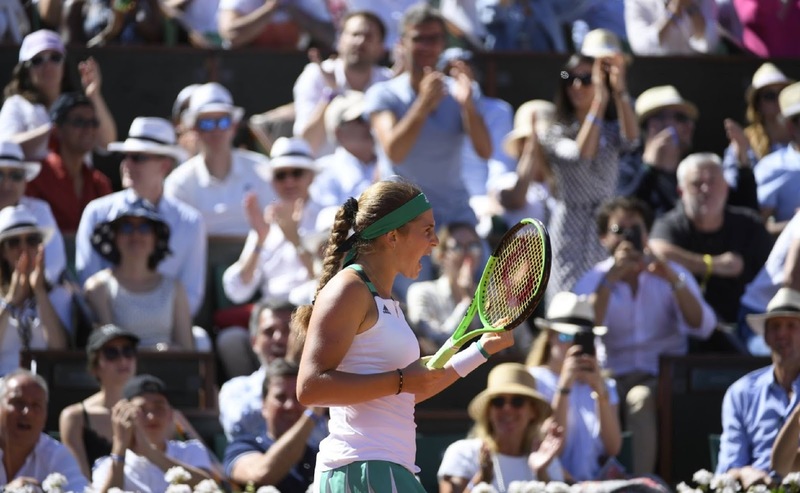 In 1 hour and 59 minutes, Jelena Ostapenko stunned World No.4 Simona Halep in their French Open Finals face-off, 6-4; 4-6; 3-6. Down in the First Set, and broken early, dangerously trailing 1-3 in the Second Set, Ostapenko rallied back with her ferocious backhands and forehands, relentlessly. The young nerveless Latvian, proved to be too powerful for the seasoned Romanian. 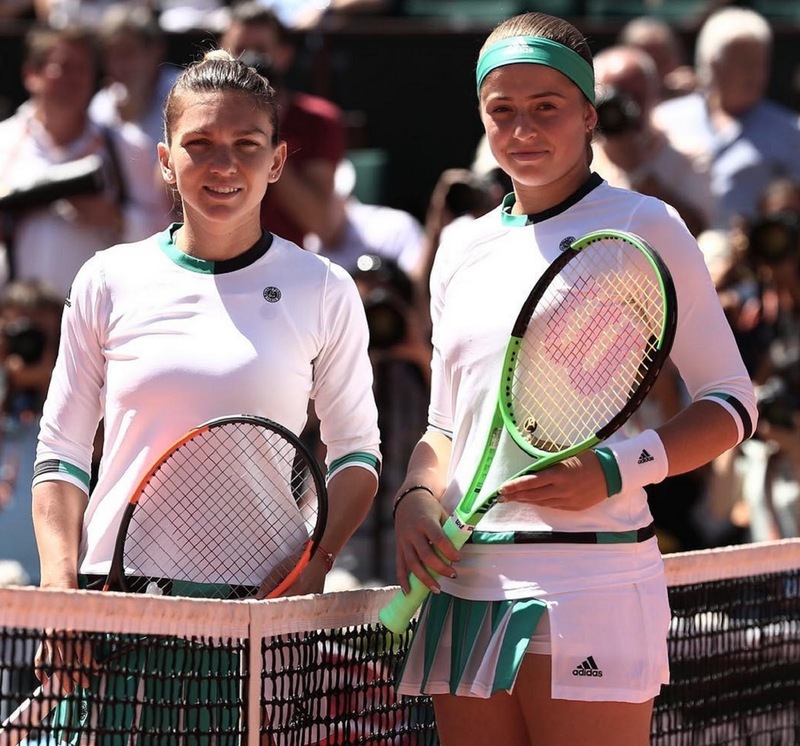 Simona Halep was also Finalist in the French Open in 2014, and was favorite to win over Ostapenko in this year's Finals. Then, the unthinkable upset came. Jelena Ostapenko was introduced to tennis by her mother when she was 5, in her native Riga in Latvia. Growing up, she idolized Serena Williams as a young child. While she loved dancing and competed nationally in Latvia as a kid, she later focused on tennis at age 12. Little did she know, that one day soon at a very tender age of 20, she will win the French Open. "Fairy tales can come true", writes FOX Sports Asia @FOXSporstAsia. "Incredible! ", said the BBC @BBCSport . 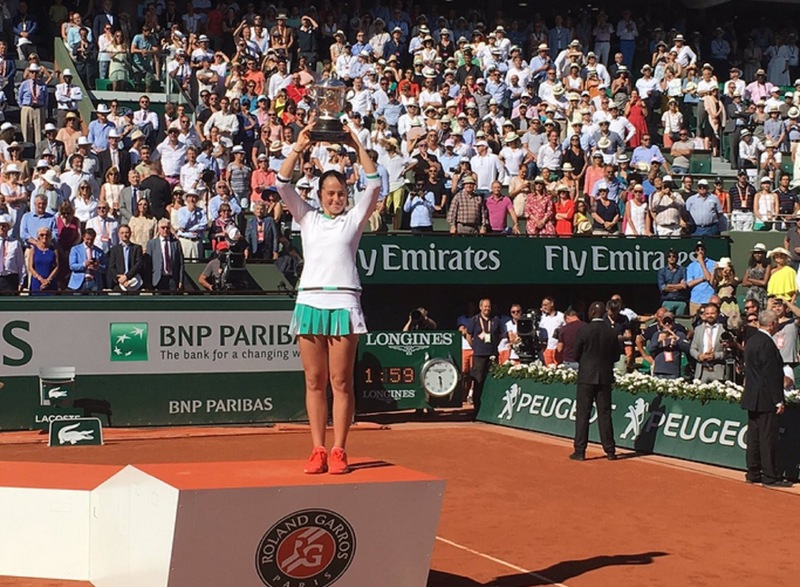 Jeļena Ostapenko captures FIRST Grand Slam title at ROLAND-GARROS! Comes back to edge Halep 4-6, 6-4, 6-3! Jelena #Ostapenko is your @rolandgarros 2017 CHAMPION! The last player to win their debut title at ROLAND-GARROS? Gustavo Kuerten on June 8, 1997. The day Jelena Ostapenko was born. This is why we play... Trophies are ready ! Ce pour quoi nous jouons... Les trophées sont prêts ! Jelena Ostapenko defeated Simona Halep in three sets at the French Open for her first-ever Grand Slam title. She’s the first unseeded woman to win the French Open in the Open Era (since 1968).